Photo Courtesy of Blue Ribbon Content and Warner Bros. Animation. Len Wein wasn’t the first to come up with the idea of an alternate Earth where the Nazis won World War II. But by writing the original “Crisis on Earth-X” for Justice League of America #107, he opened the door not just to fertile ground for DC Comics, but to a team of heroes called the Freedom Fighters. I lead with that in reviewing Freedom Fighters: The Ray not because Len created those heroes, but because it starts with a writer, and who knows where it will lead? 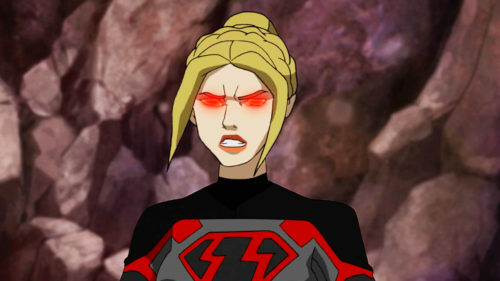 In this case, to both a four-part television series crossover on the CW, and to this excellent new animated series on the CW Seed. 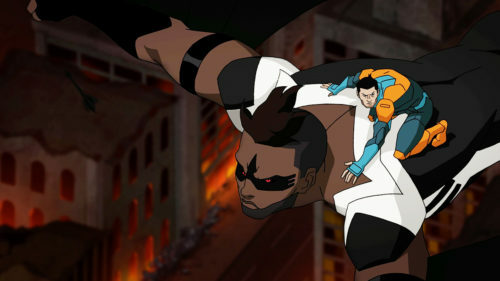 In both cases, The Ray is played by Russell Tovey, which helps build continuity between this animated series and the live-action CW “Arrowverse.” And unlike the previous Vixen animated series, this comes after the character had been introduced on television, serving as a prequel that informs an already broadcast plot. It’s a prequel, but also a promise of something much broader. 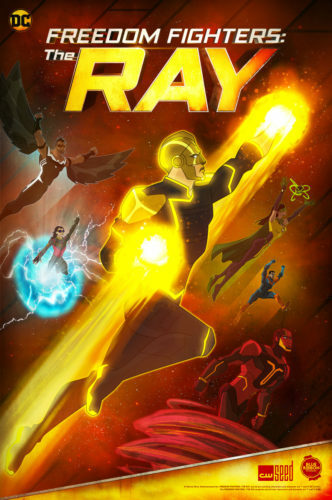 Set at least two years before “Crisis on Earth-X,” Freedom Fighters: The Ray, the CW Seed series (six episodes, about five minutes each) provides answers to the most nagging questions from the recent cross-over: how did the Ray Terrell of Earth-1 end up on Earth-X, and how did Cisco Ramon (Carlos Valdes) not find out about this meta until the crossover? Actually, we’re going to have to infer some of it for now, because though the series sets up the answers, it’s also got a cliffhanger for presumably another set of episodes in the future. 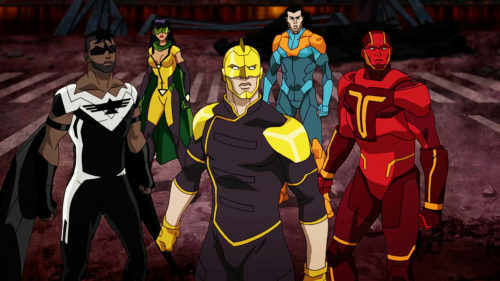 Opening on Earth-X, it wastes no time introducing the Freedom Fighters, most of whom were redesigned a decade or so ago by Jimmy Palmiotti and Justin Gray. In addition to the Ray, there’s Black Condor, Dollman, and Phantom Lady. 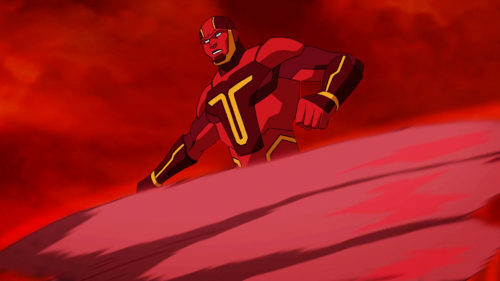 Replacing the Human Bomb (likely for the same reason that DC’s Legends of Tomorrow doesn’t call superheroine Isis “Isis”) is the Red Tornado, who also made an appearance on “Crisis on Earth-X.” They’re fighting to save people from being rounded up by the Axis powers, led by Dark Arrow, Blitzkrieg, and Overgirl. The first couple of episodes are just action — showing what the metas can do and giving us the fun of just watching good fighting evil. Then it switches over to Earth-1, giving us the Ray Terrell we had seen, and proving that you don’t need superpowers to be fighting injustice. Partially driven by the loss of his older brother on a tour of duty in Afghanistan, and struggling with the right time to come out to his parents, Ray is decent, shy, and somewhat awkward. He’s supported by his best friend John, who also has an Earth-X counterpart. 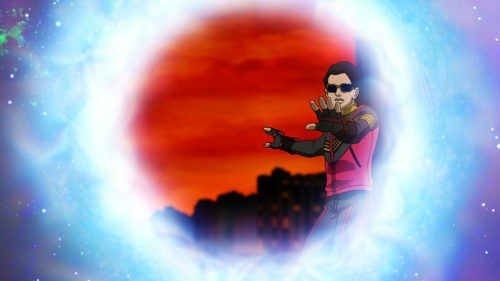 And then Earth-X comes calling. For me, the most important thing is that this series addresses whether or not people know about alternate Earths. It’s been driving me crazy on The Flash that Harrison Wells is so blase about it, but then again, of course he would be. He’s Wells. And on that note, even though he doesn’t appear, he’s the key to placing this in a timeline with the series — Cisco complains about getting used to the latest Wells, which must be H.R. 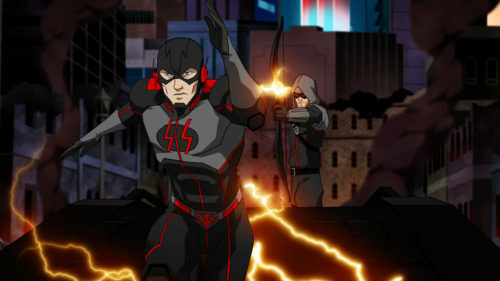 from the beginning of Season 3, and the evil Earth-X version of the Flash faced by the Freedom Fighters isn’t Eobard Thawne as it was in “Crisis on Earth-X.” Instead, it’s a character identified in the credits as Blitzkrieg. Again, plenty of room to get from The Ray to “Crisis on Earth-X”, and I can’t wait for more. Thanks, Len, for opening the door. How Do You Spank A Superhero?